If you are a striving restaurant or cafe owner and are looking at Fremantle for your next business venture – you are on the right track. Only a short drive away from Perth, Fremantle is a city that found its place on the Lonely Planet’s Top 10 Tourism Cities list for 2016. This means two things: first – the basis for a successful restaurant business is already set, second – the news is out, so people are coming to visit. That makes for the perfect opportunity to set up a quality food establishment and make the most of this positive business climate that Fremantle offers for the new hospitality venues. Now, you need to do your research about the already existing bar, restaurant and cafe scene and learn all there is to know about Fremantle diners. Moreover, you need to get in tune with the city vibe, check out what the competition is doing and figure out your own concept. After that, you need to connect with the local businesses that will help you set up a reputable place, like Fremantle Steam Laundry, and get properly integrated into the local business scene. This article is here to help you by pointing where to look and what to pay attention to. Enjoy it and start brainstorming on the concept of your new business. What is Fremantle All About? If there is one word to describe Fremantle scene, the word is – eclectic. No, wait – diverse. No – indie! Actually, there is no way this place and its diners can be explained in one word. Fremantle is charming and has it all. There is no lack of fine dining places, but, on the other hand, there is a plethora of delicious street vendors with awesome delicacies. 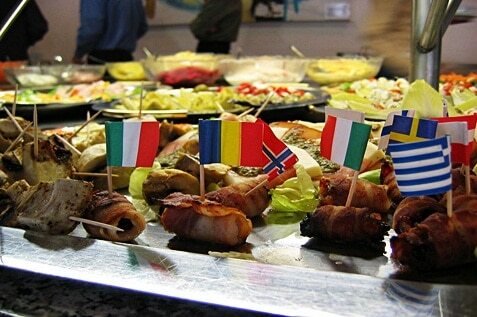 You can easily find places that serve International cuisine, but there is also a large variety of restaurants serving tasty dishes of specific, national cuisines. You can quite easily find a real Italian pizzeria, but also there is no lack of restaurants that serve Mexican, Turkish, Greek, Mediterranean, Thai, Chinese and the others. There are baristas from all over the world and endless selections of cafes and coffee based drinks. Micro breweries and boutique beers are in abundance. Still, you should never forget about the amazing wine from this region. Don’t allow the numerous competition discourage you. 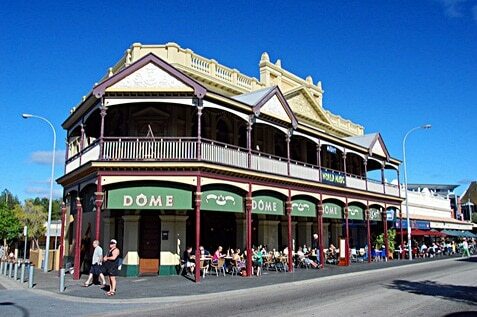 Fremantle diners are well versed and they are used to variety and different tastes. This works for you – it means that you can come up with a great concept and people will go for it. In Fremantle, you don’t have to bear the cross of being the first of your kind – you just need to do your best to be excellent and you’ll have your customers. If you are not planning on opening a grand venue with pricey interior, but want to focus on flawless taste and offer charming, indie food experience, take a look at the Fremantle Markets, International Food Court and E-Sheds at Fremantle Waterfront. 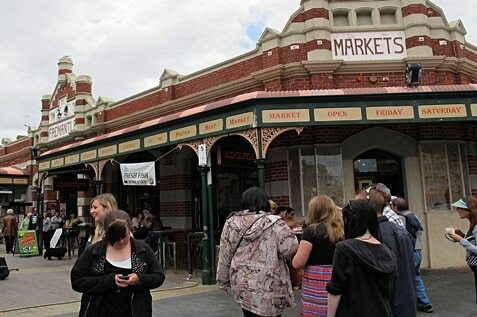 Fremantle markets offer organic produce, artisan souvenirs and a huge variety of different stands. This means a lot of busy hours throughout the day and also, a lot of families with children. This is a great place for a small, informal eatery that caters to families. Don’t be afraid to go a bit quirky with your mismatched furniture, because people here will get it and love it. However, stand out with perfectly maintained uniforms and aprons for your staff. That will give a casual place a professional appearance. The busiest and the trendiest place to have coffee, brunch or a sip of a boutique beer is the Cappuccino Strip, hence the colourful name. It stretches from the Parry Street to the Bannister Street in the South Terrace area. If you want to bring something new, interesting or fresh to the scene, have a go and try to make it there. You surely won’t lack crowds of people passing by your place, but you won’t be lacking competition either. 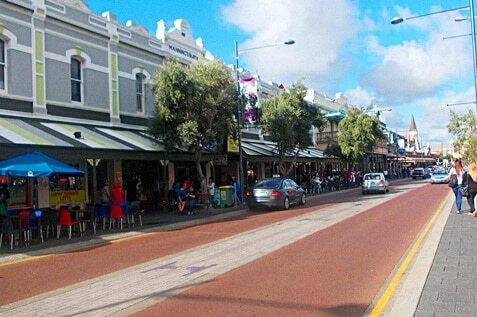 This area is brimming with people, restaurants, cafes and it is the epicentre of Fremantle nightlife. Once the sun sets, open-mics and live music take over and it’s all fun until the early morning hours. You will definitely need to stand out if you want to succeed in Cappuccino Strip. 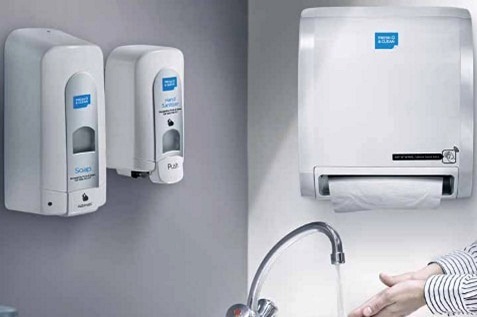 Of course, you need to cover your basics first, which includes great advertising, flawless workplace hygiene and excellent service. But, after that, you need to offer a concept that draws people to your venue among all the others there. When a city has a harbour, it is usually the city’s beating heart throughout the ages. The port of Freo is not different in that regard. Fishing boat harbour has been around ever since the 1900s. Traditionally, it is a place where people come to fish, sell and buy the fresh catch and chat a bit with the fishermen. Today, it is on a whole different level, but the concept is the same. Fishing boat harbor is perfect for starting restaurants that have large area of outdoor dining. Obviously, fresh fish and bounty of the Indian Ocean should be a big part of the menu at such a place. The liveliness of the Harbour doesn’t stop when the sun goes down. On the contrary. It just changes a bit and transforms into a nightlife hub. So, if your business plan involves opening a nightclub, bar or a pub, this might be a good area for you to look into. No, it is not spying. It is simply doing research. If you have your eye on Freo for your business venture, you need to take a look at your competition. Figure out what they have in common, what are their good moves and what are the mistakes you should avoid yourself. Here are a couple of interesting venues that people in Fremantle simply adore. This is one of the oldest and most recognisable places in Freo. They offer over 40 kinds of beer. There are old, familiar brews, of course, but there are also a couple of new ones, as well, to keep the things interesting. The interior of Sail & Anchor matches its heritage origin. It has wood panels on the walls, old-school wooden chairs and the old spiraling staircase, as a part of its interior. The trendy bar Strange Company owes its fame to awesome sips and bites on their menu, as well as the interesting design. It has a cool vibe that makes it one of the trendiest places to visit. It is rather small and drinks are the main thing, but the food is superb, also. During the Perth’s small bar craze, Fremantle responded with Whisper Wine Bar. This lovely place found its niche in combining European, mainly French, finger food and lovely local wines. 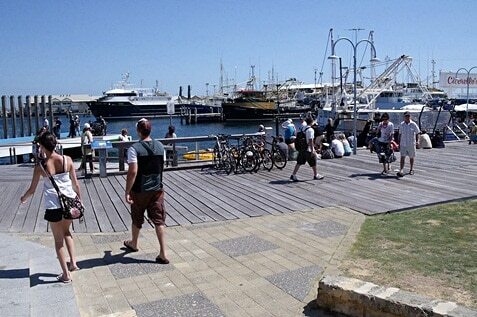 It clearly worked, because this is one of the most popular places in Freo. If you want to take a look at some of the newer establishments, The Left Bank is the place you are looking for. Pleasant interior and superb service are obvious in this place. Again, it is interesting to see how well a cleverly targeted niche works out. This time, the name of the game is breakfast. The Left Bank has an extensive list of breakfast options that will make you drool. This includes at least 3 gluten-free options, interesting taste combinations, but also the good ol’ baked beans or eggs, as well. Another new-ish venue that started as a very ambitious project. The idea and the motto of this place is Everybody’s Beach House. It sounds great and the design of the restaurant delivers to that promise. The view is spectacular and the venue is huge. It is quite difficult to categorise this restaurant, because it seems to be focusing on the Everyone as the keyword of their motto. Families with children, folks looking for some fine-dining, beach-goers in thongs stopping by for a drink – everybody! And it works! Fremantle restaurant and bar scene is awake and it is gaining its momentum. It is the perfect time to jump on that wagon and open a venue of your own. The competition may be fierce, but it is obvious from the examples, that mindfully pinpointed niche can take you and your business a long way. Also, while getting all occupied by the thoughts about your concept, don’t forget about all the basic necessities. You will need linen, uniforms and even the spotless and well-equipped washroom. Investing in all those things is not a joke. It is a lot of capital spent at once. But, with Alsco, there is a way around it. You don’t have to buy these necessities – you can rent them from us. Yes – we rent and maintain the items you rented. We just need to agree about your monthly fee and about the schedule that works the best for you. All those uniforms, mats and linen are not your concern after we make the deal. Call Alsco and our representatives will take the time to answer everything you want to know about the awesome offers that are waiting for you.